Adidas fragrance and perfume list. 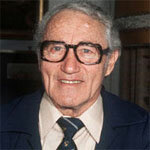 Adolf "Adi" Dassler (1900-1978) was the founder of the German sportswear company Adidas. The company name was formed by his nickname "Adi" and first three initials of his last name "Das" = AdiDas. Adi was a trained cobbler, and started producing his own sports shoes after returning from WWI at his mother's laundry. His brother, Rudolf joined the business in 1924. Dassler equipped many athletes with his footwear in the 1928 Olympics, setting the foundation of his sportswear brand. The Dassler brothers split ways in 1948, and Rudolf left the company and founded Ruda, later renamed Puma. Adolf died in 1978, and his son Horst took over the company until his death in 1987. Adidas is currently a public held company.